McLean, Va., February 23, 2016 — Corcentric™, a provider of cloud-based financial process automation solutions, today announced they will host booth #1409 at the 2016 Technology & Maintenance Council’s Annual Meeting & Transportation Technology Exhibition, which will take place February 29 – March 3, 2016 at the Music City Center, in Nashville, Tenn. Organizational inefficiencies and errors cost businesses thousands of dollars each day. These issues can be minimized by utilizing today’s technology. Electronic invoices are among the least adopted formats in invoice processing today, yet, this is the most efficient way to manage B2B invoicing. 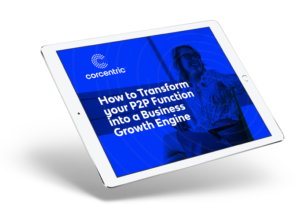 By creating a paperless conduit between procurement, accounts payable, accounts receivable, and suppliers, Corcentric allows companies to immediately manage 100 percent of their back office processes electronically. Its cloud-based (SaaS) architecture allows solutions to be configured easily for rapid return on investment. Corcentric’s booth will feature the latest in automation technology and will have experts on staff to speak with attendees. The Technology & Maintenance Council (TMC) is a diverse group of industry professionals who work together to improve truck equipment and technology. TMC develops industry-recognized recommended practices that are used by fleet managers to efficiently specify and maintain vehicles. TMC is celebrating its 60th anniversary at this year’s meeting.